Do you have a problem with your Airdrop not working when updated to iOS 12? 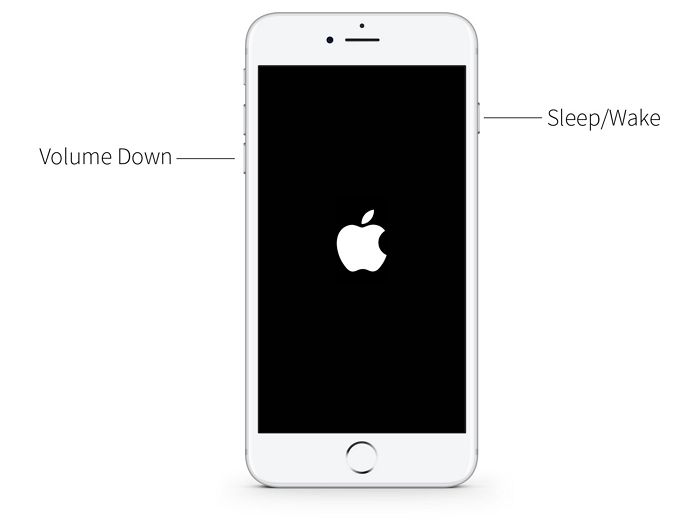 Not to worry, you are not alone; many iPhone users have experienced similar flaws with the latest iOS 11 as well as 12. It has become common to hear complaints about problems with airdropping photos. Although AirDrop is the easiest most popular way to share contents on iPhone and Mac, mishaps are inevitable. Before you rush to blame a problem with sharing of data on your IPhone Airdrop not working, take time to consider how it works and the possibilities of the problem’s cause. 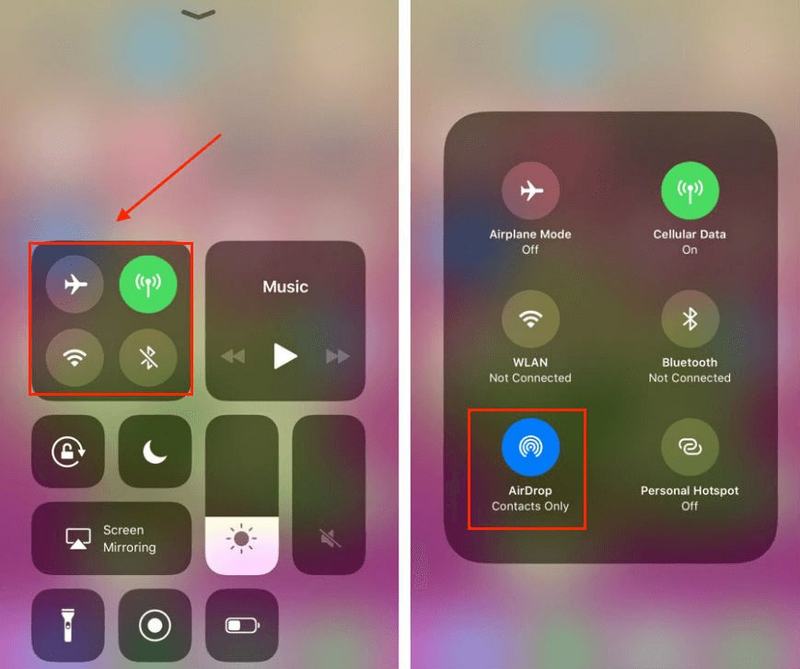 The most likely reasons for Airdrop not working on iOS 12 are; system compatibility issues, a network problem, or software glitch. Airdrop relies on Wi-Fi and Bluetooth so check to verify if they are switched on first. The couple features are available on the shortcuts so take the quickest time to enable them. 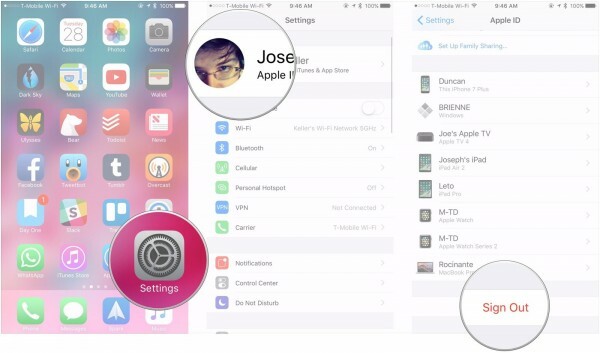 By swiping up from the bottom of the screen, you will bring up the Control Center. For an iPhone X, you will access the Control Center by swiping down from the top right corner. Touch and hold on any buttons in your networking settings. You may switch off the Airdrop button. Forcing a restart is a default way to solve most issues across the board on various machines. It works with Airdrop not working on iOS 12 too. When faced with a problem with AirDrop not sending or receiving files, try the force reboot technique and see what happens. Ensure that you have the update iOS 12. You can download and install the latest software to ensure you have the latest versions. Log out and re-log back in iCloud. You can achieve this by going to settings and finding the iCloud icon. Check again if your AirDrop is fixed. If, after resigning back to iCloud, the problem is not yet fixed, it is time to reset network settings. 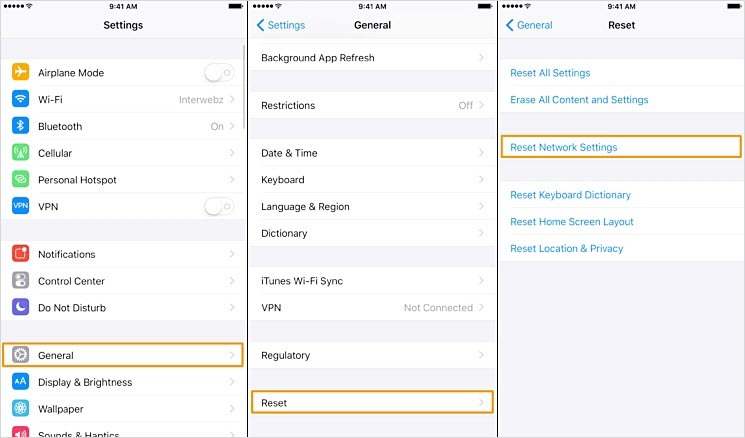 While on general settings, rind the reset icon and proceed to reset network settings. If you have multiple devices, you will eventually need to transfer files among them. The need to share information to other devices needs compatibility. For an iPhone, the restrictions it comes with may frustrate your efforts of easily transferring files on iTunes. 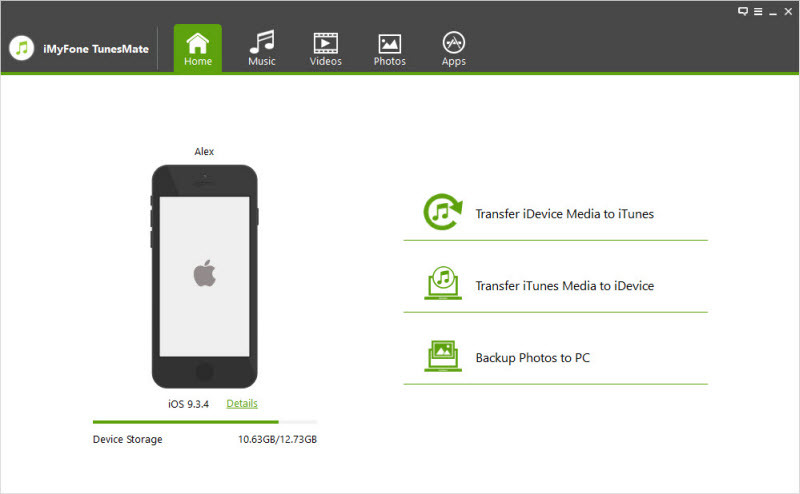 For quick solutions to transfer files between iPhone and PC/iTunes, use TunesMate. Apart from free transfers, TunesMate offers other benefits such as synchronizing iTunes library to iOS without the fear of overwriting, which is common in other regular devices. It also helps rebuild corrupted and damaged libraries. Most importantly, you will be able to transfer an unlimited number and versions of files. 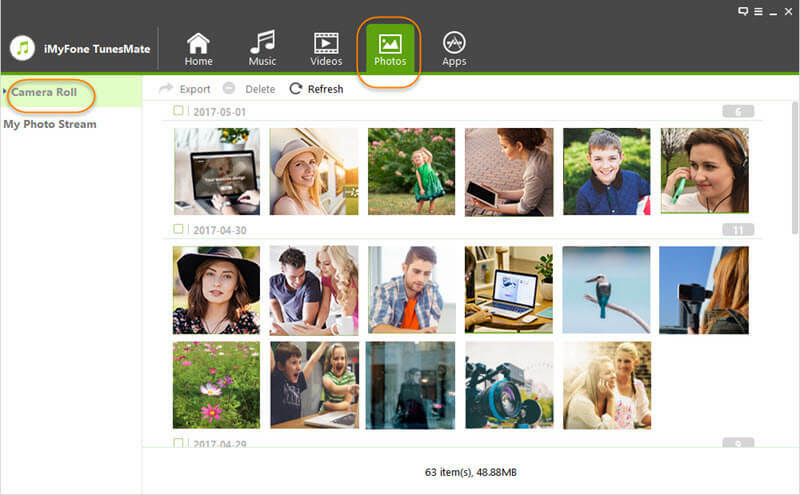 For example, TunesMate will enable you to transfer audio music, videos, photos, playlists, ringtones, audiobooks, podcasts, and any other recognized formats available. It has a two-way transfer mechanism between your PC and device to both ends. Rebuilding iTunes library to restore playlists even without opening iTunes is a major advantage. Restoration of libraries is undeniably essential. The iPhone Music Manager available lets you edit, restore, add, delete, and manipulate your data in every possible way. Download and launch TunesMate on your PC, and connect your iPhone. Choose the photos you want to transfer, then click Export>Export to PC. 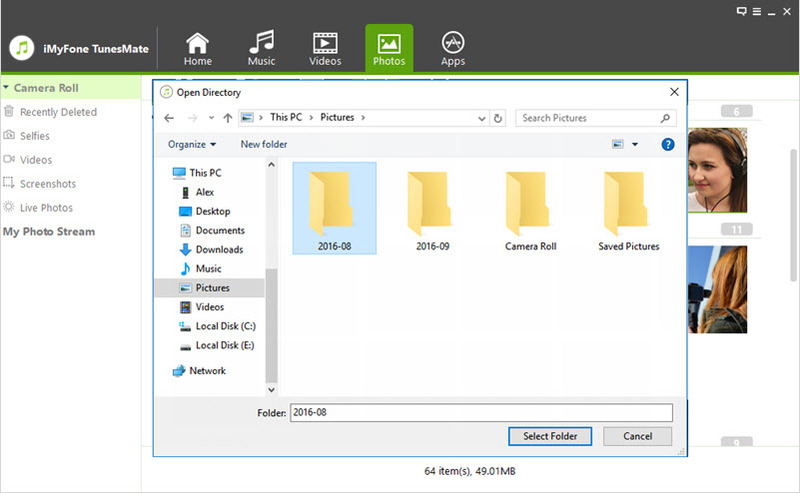 Select a folder to save your photos in and it's done! In conclusion, TunesMate is an essential iPhone data transfer tool that has helped solve many problems of iPhone users. The advantages outweigh the disadvantage by a wide margin. It improves your experience with iOS and iPhones. You have more power to customize your media files according to your preferences without the traditional restrictions on iTunes. They are compatible with most iOS devices so take the chance and give it a free trial.